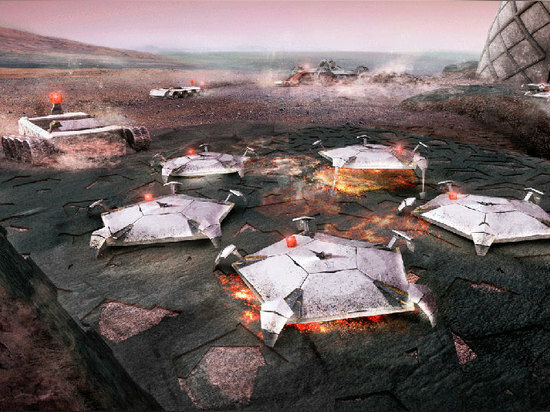 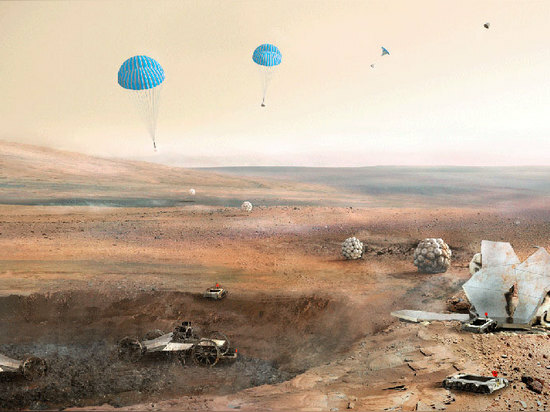 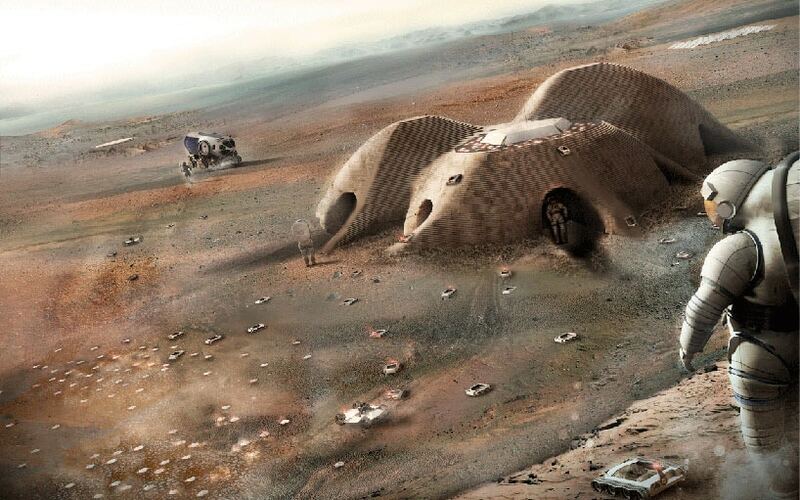 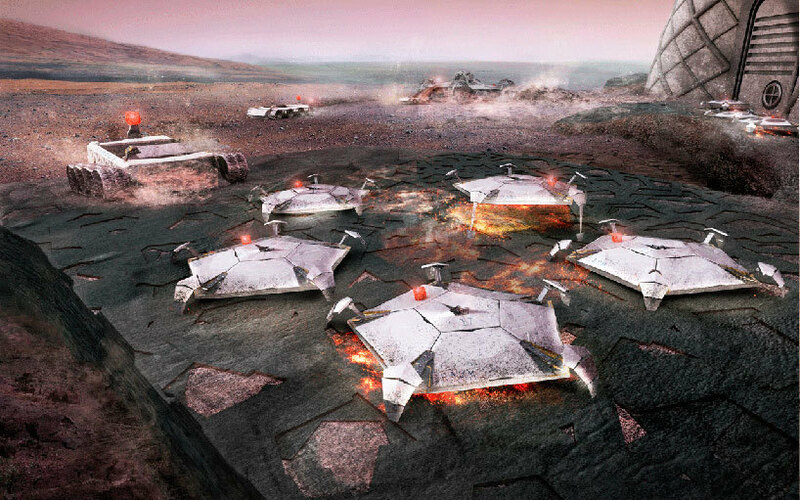 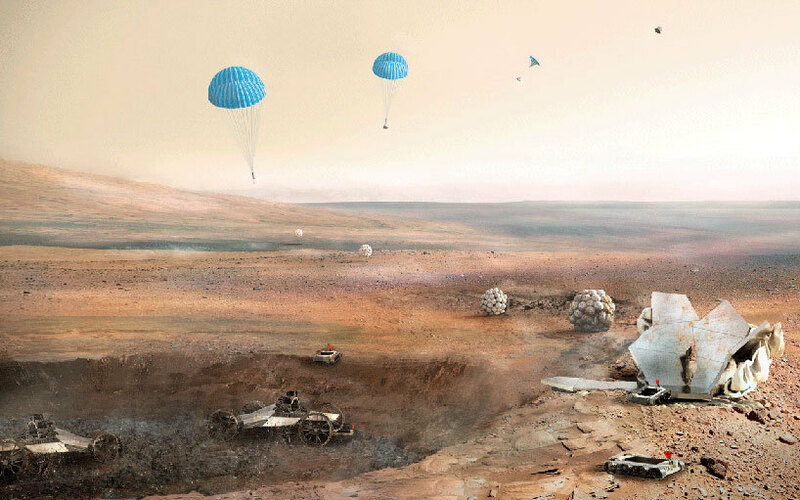 Imagining a settlement on mars constructed using an array of pre-programmed, semi-autonomous robots, foster and partners have released their entry for the 3D printed habitat challenge organized by america makes and NASA. 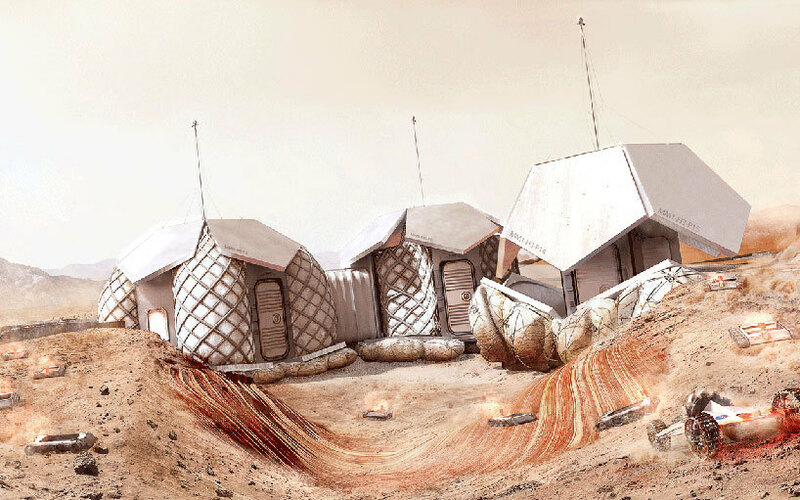 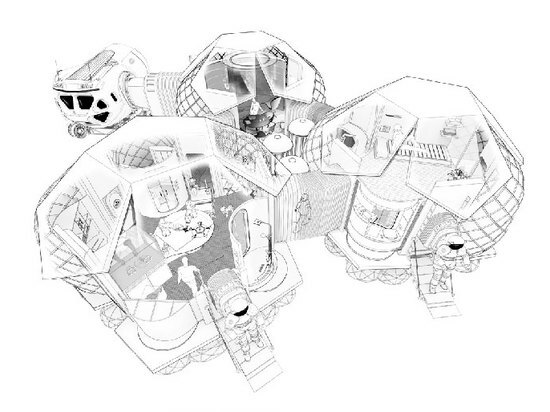 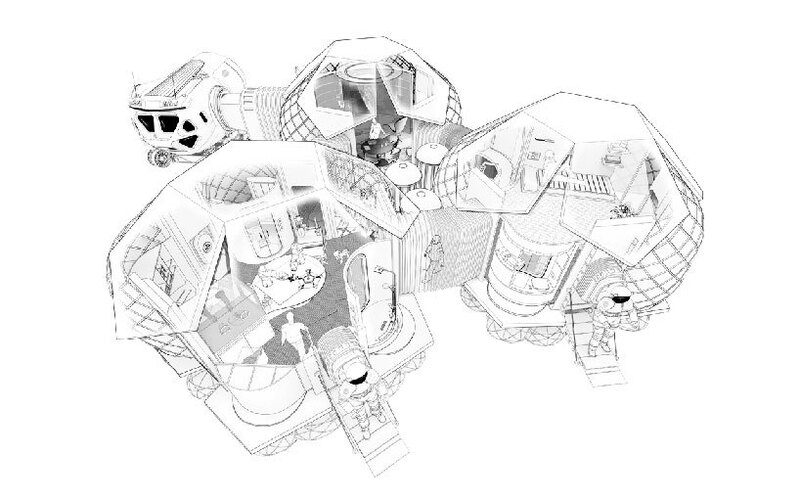 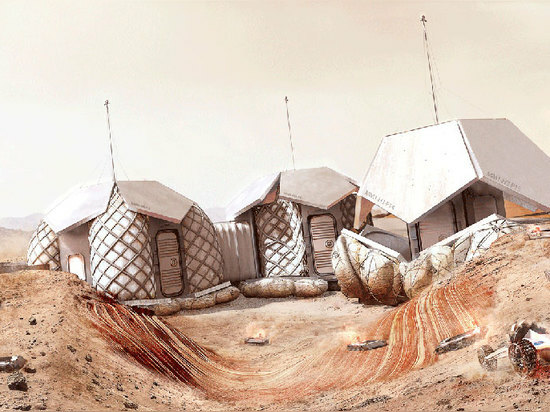 Proposed by the international practice’s new york office, their modular habitat ‘envisions a robust 3D-printed dwelling for up to four astronauts constructed using regolith – the loose soil and rocks found on the surface of mars.’calculated to every meticulous detail, the outer-space residence would be delivered in two stages prior to the arrival of the astronauts. 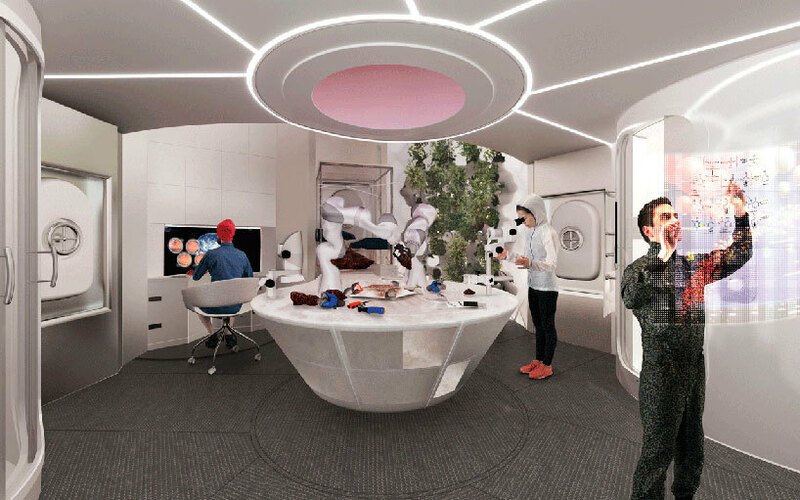 the modules themselves would measure 93 sqm and carefully takes into account human physiology and psychology to instill a comfortable living environment for the astronauts. 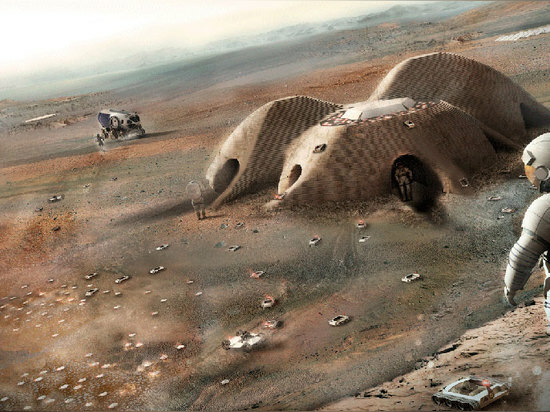 the overlapping dome-like spaces will be composed of private and communal spaces and finished with soft-based materials.